Big Break Regional Shoreline offers opportunities to explore nearby islands and shorelines, exceptional bird watching, and views of historic sites along the river. It is a particularly popular launch for fishing. 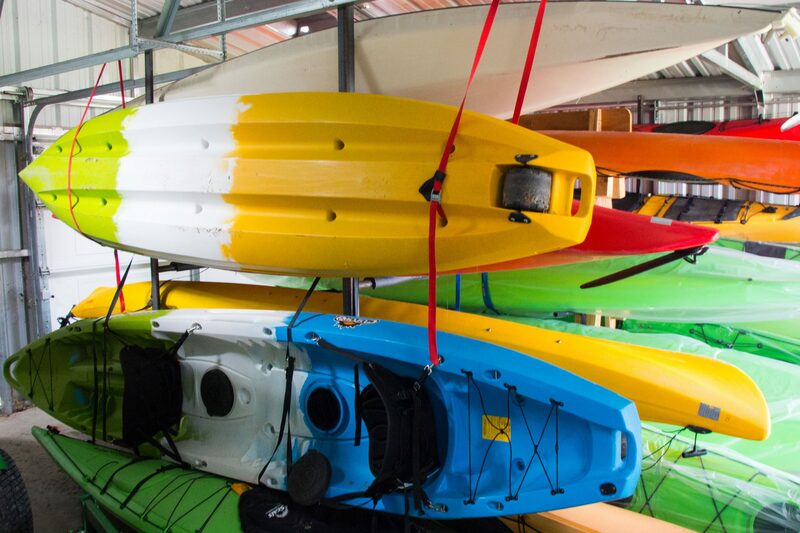 Big Break Regional Shoreline offers a broad array of amenities and paddling programs to allow visitors to experience and learn about the Delta. 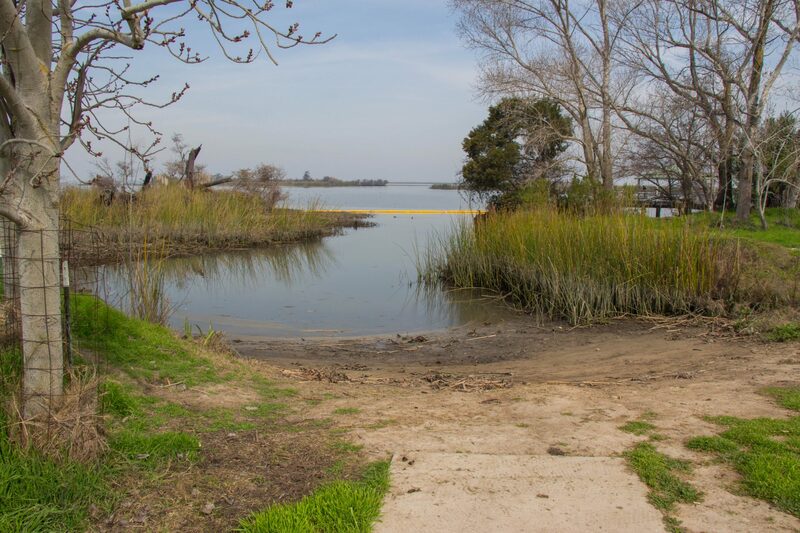 The boat launch is a small sheltered beach accessible from a paved level path that leads from the Visitor Center and parking lot.  The beach launch is located approximately ¼ mile from the parking area. Wheeled kayak carts are provided free for use from the Visitor Center. 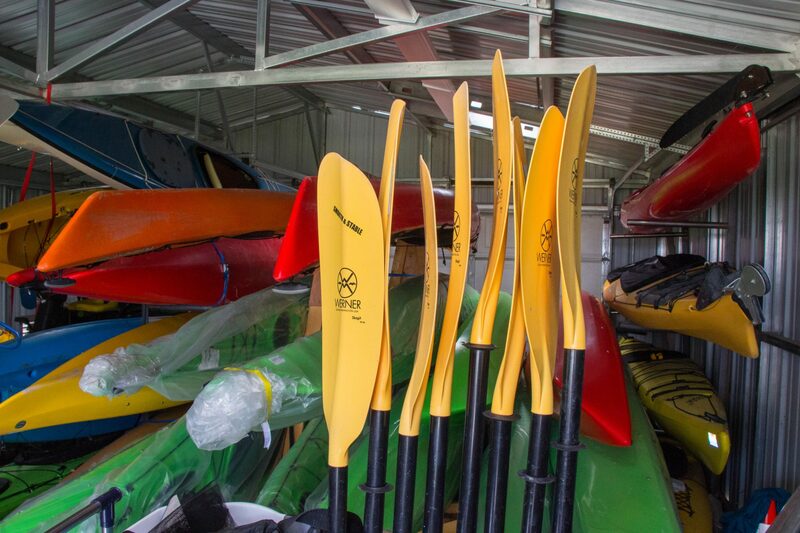 Big Break Regional Shoreline also offers naturalist-led kayak programs and maintains a fleet of kayaks, paddles and associated equipment in a storage building located near the beach launch. More information about these programs can be found here. From I-680 northbound, transition onto Hwy. 242 towards Concord/Pittsburg, then Hwy. 4 eastbound towards Stockton/Pittsburg. Take right exit 30 toward CA-160/Sacramento//Rio Vista (just past Hillcrest Avenue Exit; do NOT continue straight on Highway 4), Merge onto CA-160; Take exit 1-A East 18th/Main Street (first exit on Highway 160), Turn right (east) at the bottom of the exit onto Main Street; proceed east a little over 1 mile, Turn left onto Big Break Road; Turn right just past the last houses on the right into Big break Regional Shoreline. From CA-4 East take the Hillcrest Avenue Exit, Take right exit 30 toward CA-160/Sacramento//Rio Vista (just past Hillcrest Avenue Exit; do NOT continue straight on Highway 4), Merge onto CA-160; Take exit 1-A East 18th/Main Street (first exit on Highway 160), Turn right (east) at the bottom of the exit onto Main Street; proceed east a little over 1 mile, Turn left onto Big Break Road; Turn right just past the last houses on the right into Big break Regional Shoreline. Big Break Regional Shoreline has a large parking lot that has ample room on all but the busiest days. The beach launch is located approximately ¼ mile from the parking area. 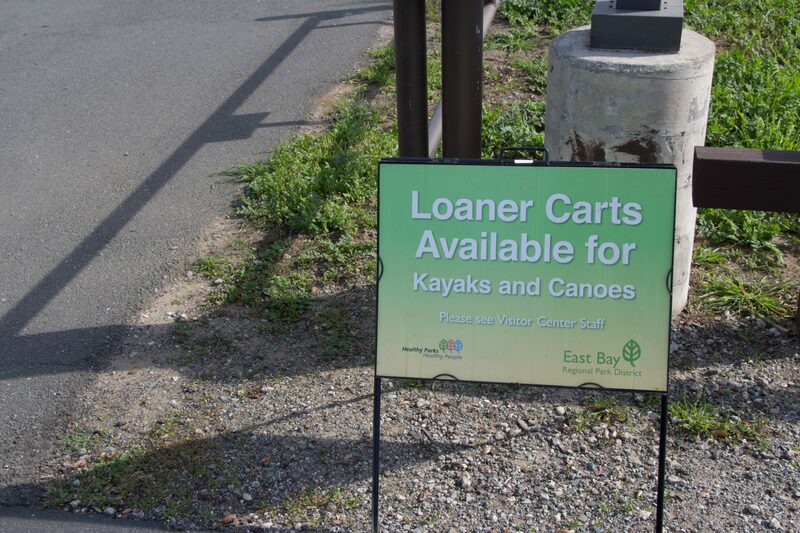 Wheeled kayak carts are provided free for use from the Visitor Center. 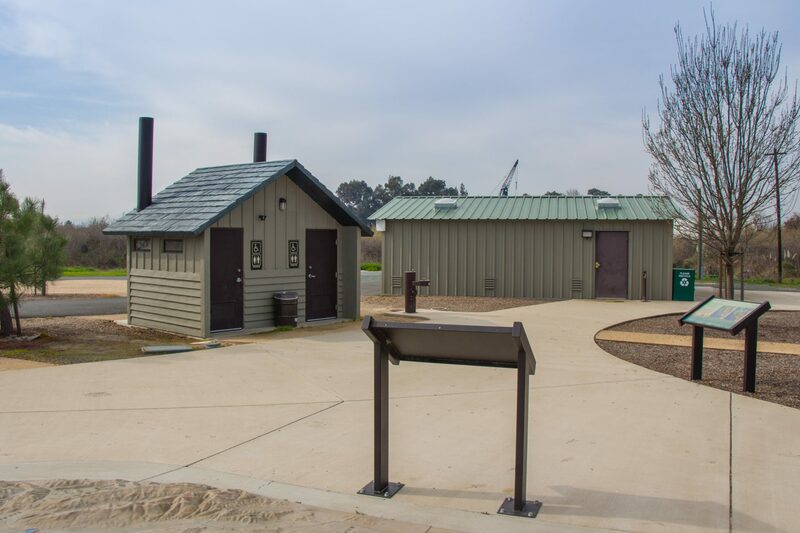 There are six restrooms located within Big Break Regional Shoreline. Two restrooms are in the parking lot, two restrooms are at the launch site, and two restrooms are in the visitor center. The parking lot and visitor center restrooms have running water. The launch restrooms do not. 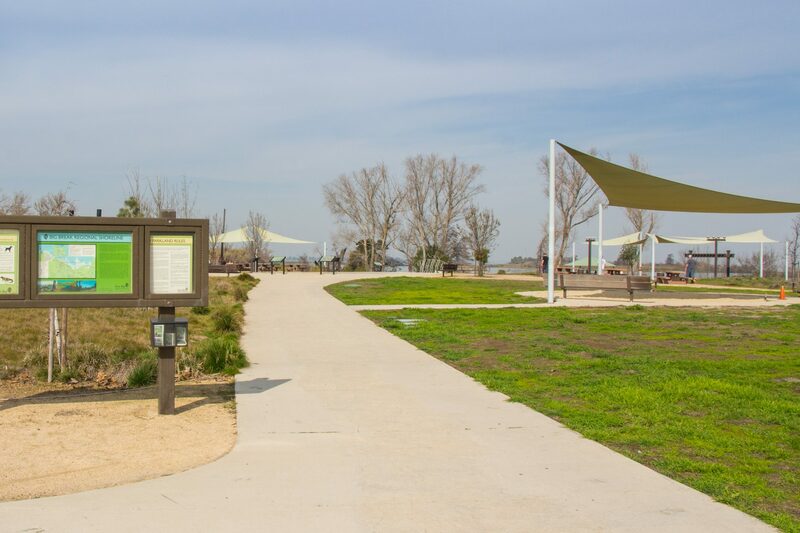 In addition to the boat launch beach, facilities at Big Break Regional Shoreline include picnic and meadow areas, a small shaded amphitheater, ADA restrooms, and a fishing pier. 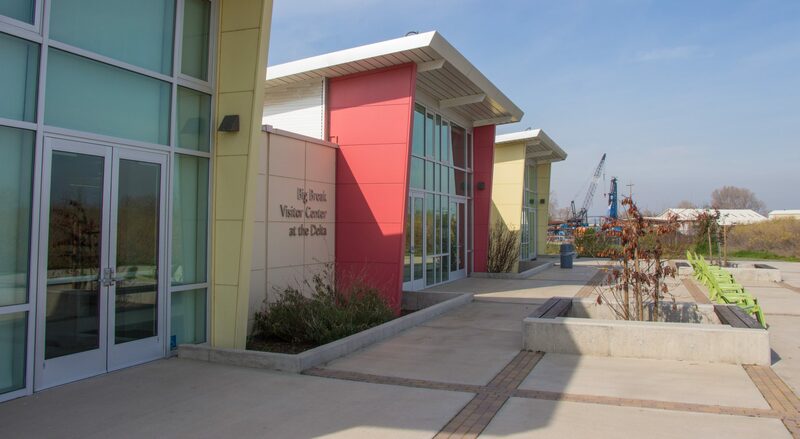 The recently constructed Visitor Center includes interpretive and interactive displays about the natural and cultural history of the Delta and is staffed by Park District naturalists who can give information about the park and specific activities in the area. It also includes the Delta Discovery Experience – an “interpretive landscape” depicting the Delta watershed – outdoor use areas for interpretive and educational exhibits and programs highlighting the Delta, its ecosystems, and wildlife. The site offers accessible parking, restrooms and path of travel to the water at high tides; however, the beach launch surface and slope may limit access for those with mobility impairments during lower tides. Except for during the lowest tides, the length of beach to cross from the end of the paved path of travel is short (<15 feet). The Big Break Regional Trail is paved and relatively flat. Wheelchair accessible drinking fountains and an ADA restroom are located adjacent to the trail. Hunting occurs in nearby wetlands October to February. Outside the Big Break, small craft should be cautious and avoid the barges and other large ships that frequent the shipping lanes along the San Joaquin River. Cargo ships, motorized boats, and sailboats are regularly moving along the San Joaquin River, so small non-motorized boats need to take caution to avoid these vessels. Winds and currents on the San Joaquin River can be strong; paddlers need to take care to stay within their skill level. Big Break is home to 70 species of birds and several species of mammals. Twenty-seven special-status wildlife species have the potential to occur within the parkland; six special-status wildlife species are known to occur. Nesting is confirmed or suspected for black rails, northern harriers, white-tailed kites, and yellow-breasted chats. Many wading birds, including great blue herons, great egrets, snowy egrets, green herons and white-faced ibis, forage in the tidal sloughs and freshwater marshes. 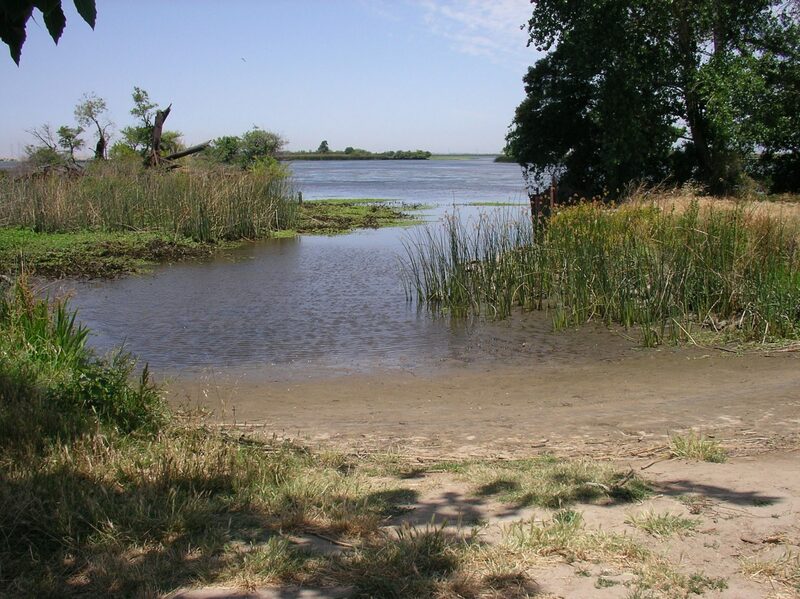 Big Break Regional Shoreline provides extensive interpretation and outreach to enhance knowledge of sensitive species and habitats in the region. The Water Trail recommends boaters maintain a buffer distance of 650 feet from nesting colonies of birds, 50 feet from ridgway’s rail habitat and 820 feet from large groups of floating waterbirds. To help you visualize what these distances mean, 100 feet is approximately the distance of six sea kayaks.